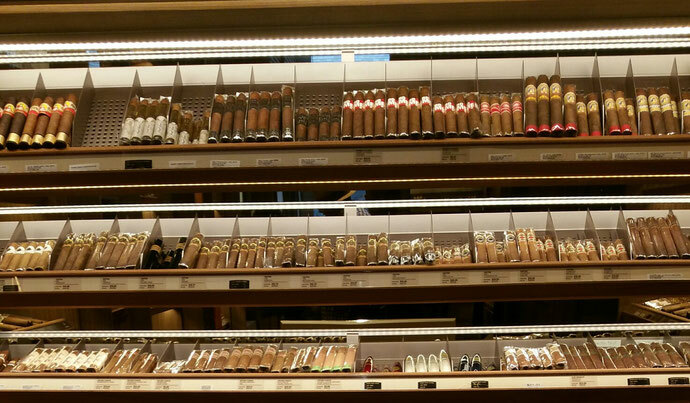 There are a lot of cigars out there (a sea of selection). Some will never be made again. Some will never be made as well as the ones in the past due to natural fluctuations in the climate and conditions on the ground. Some are simply outside of your natural palate and you will never like them no matter how long they age or what you are drinking while smoking them. Some cigars you liked in the past have been outpaced by the speed of your cigar journey and others will only be enjoyed as your experience deepens. There are cigars that I used like that do not even get considered nowadays and there are some cigars that I thought were horrible that I love now. This is why its very important to follow bloggers, writers, and cigar popularizers that share similar characteristics of your palate. They can assist you in sifting through the endless offerings from cigar makers and help you find that cigar that truly appeals to your tastes. There are simply too many cigars to try so get a crash dummy like myself to make mistakes that you do not have to. You can always "go it alone" but there is no reason why you should throw away your money and endure the torture of a cigar thats not appealing to your senses. That's my job!